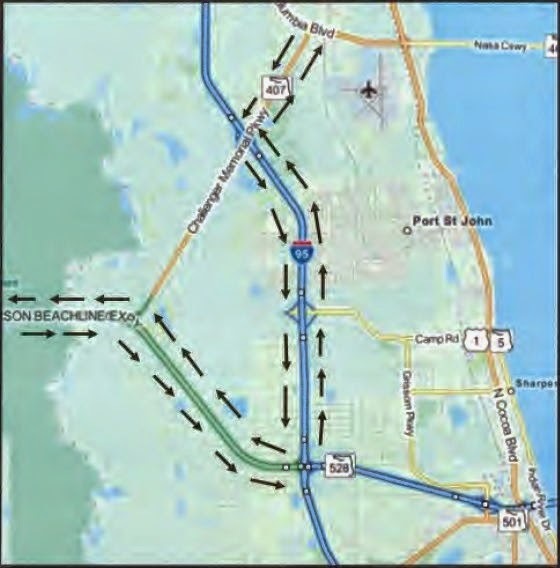 BREVARD COUNTY, Florida — A major detour is set to begin at State Road (SR) 528 and State Road (SR) 407 as part of the roadway paving project on State Road 407 from SR 528 to SR 405/Columbia Boulevard. P & S Paving, Inc. is performing the work under contract with the Florida Department of Transportation. The nightly SR 528 off and on ramp closures onto and from SR 407 are planned for 8 p.m. to 5 a.m. on Sunday, November 9 through Thursday, November 13 and Sunday, November 16 through Thursday, November 20.